LOSTSKIES.COM has been renewed. Those looking to jump on lapsed renewals will be met with disappointment. I’m planning on keeping this domain for a very, very long time. I’ve been working furiously behind the scenes to jump-start my filmmaking efforts. Doing videos for my day job have kept my skills from growing cold. Libby Lenan has graciously accepted my offer to create a video for her stunning single “Wilderness” (available on Spotify). She asked if I could record her covering a few songs for social media, to which I said “of course!”. She had worked with my old friends from ALSO SISTERS to create a video another of her songs, hopefully to be released soon. 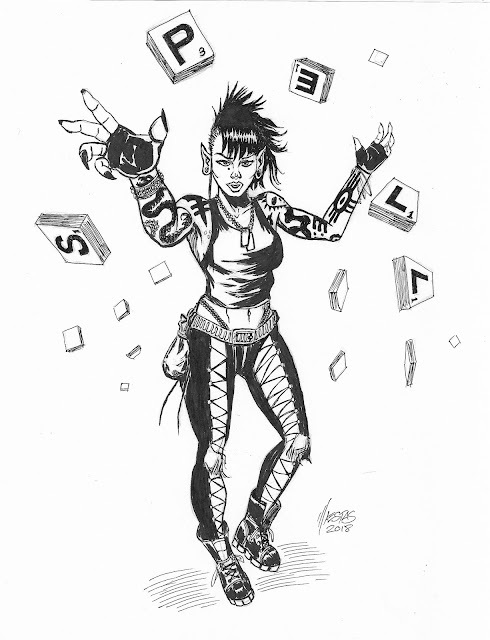 I’ve been working on a post-steampunk (steampunk without the Victorian tropes) novel for a few months. I’ve found some fantastic people who have been great at workshopping my story with me; listening to my rambles as I try to figure out the tone and plot of my post-apocalyptic story world. As such, I’ve been helping some of these friends with their creative endeavors. One thing I’m particularly excited about is that I’ve come up with some ideas for a music video for my very talented friend, Libby Lenan. The flood gates of creativity have opened. While looking at ways I could shoot this no-budget video, I had been looking into some incredible work by skilled artisans of iPhone cinematography, and have become flooded with ideas on how to improve many old scripts and resurrecting old projects like “Corner of the Mind’s Eye”. 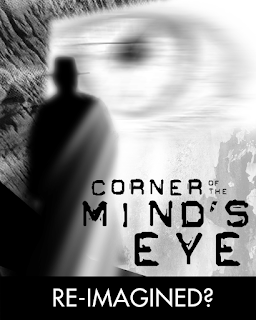 Of ALL the film projects I wish I had finished, Corner of the Mind’s Eye is the closest to my heart. NaNoWriMo is on my mind. I have been attempting it. I also have been flailing sadly at how out of sorts I have been with my own storytelling- the only creative endeavor in which I find any creative flow. 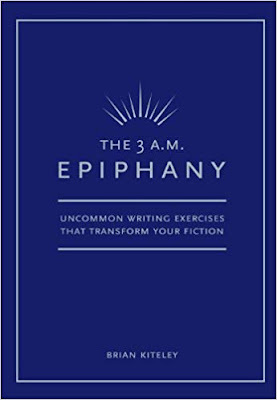 As it were, I had picked up The3 A.M. EPIPHANY by Brian Kiteley about ten years ago from Borders Books. I wouldn’t say I was intimidated by the work that would go into it, but rather the fact that I wasn’t ready. The book was forgotten and gathered dust on my bookshelf… shame on me. That said, as I was looking through my personal library for my BOOKSHELF ACADEMY series, I pulled this off the shelf and perused it, promising myself that I WOULD indeed do the exercises and, hell, why not post them as well? I am falling behind on these prompts. I am two days behind- partially because of some impromptu overnight plans this last weekend, but more because I am drawing a blank (pun unintended, but approved). I've noticed a few things while attempting Inktober—I have a long way to go with the particular inking style I want to master, but my default technique is actually decent. Creative block is my current struggle. Between home life and work projects, my artistic well is running on fumes. Despite distractions of everyday life, many of my ideas are from personal projects that I’m not ready to share publicly... and it's pushing me into a self-imposed block. I’ve had a hard time with the official prompt list; though many other lists are a bit more literal on WHAT to draw, I haven’t had much inspiration. Again, like I said, I’m drawing a blank. Here are some of the better daily ink drawings. Hopefully, I can come up with something decent fin the next couple of weeks. In a previous entry, I realized that I have an incredible resource under my nose- my own personal library of books I’ve bought over the years. 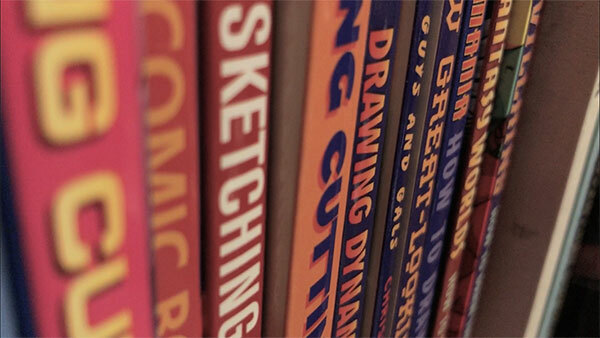 My art books, in particular, are my most valued. This will be an ongoing, intermittent series of my personal favorite books culled from my personal library. Books that actually TAUGHT me something. Each upcoming entry will briefly highlight three books. However, before we get into it, I want to outline my approach to actually USING these books. I could drone on in an intense article- but I'm doing us both a favor by simply outlining the facts. 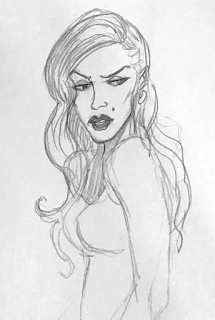 I have been using a Faber-Castell PITT artist pen, soft brush #199. I love it. The point is fine, the bristles are soft. The ink is dark. And I found it at Michael’s for only $5. I’d rather ink with a brush, but it’s a messy affair- and clean-up is brutal. With a brush pen, you get the experience. However, it’s water soluble ink… meaning that it’s not waterproof and erasers pick up the ink when you try to rub out pencil lines. I had been teaching myself how to ink for years. I was trying to develop my confidence as nervousness leads to shaky results. One way to gain confidence is to draw with a ball point pen: I filled up an entire small sketch book with hundreds of messy pen drawings. As I was feeling more confident, I moved on to crowquill. I would also use india ink mechanical pens, but you get no flexibility in the line.